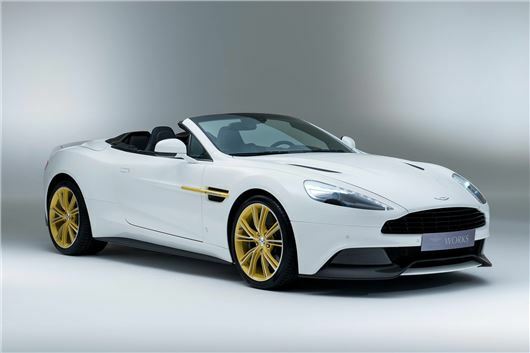 To celebrate "60 glorious years at Newport Pagnell," Aston Martin has commissioned six limited edition Vanquish models, one to celebrate each decade that the company has been at the Buckinghamshire plant. The car above is the first. Based on either the Vanquish Coupe or Volante, each of the six cars will be slightly different, and each featuring rotaries around the major controls that are cast from an original piston from an Aston Martin engine built during one of the six decades. Aston Martin has listed where those pistons come from, including a DB 2/4 Mk II saloon (reflecting the ’55-’65 period), a DB5 (’65-’75), a V8 Vantage (’85-’95) and an original Vanquish (2005 onwards). 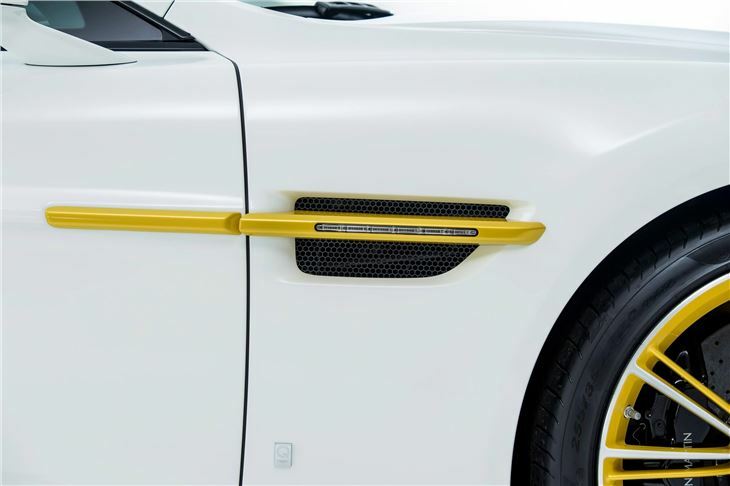 Trim and paint differences distinguish each car, but each will have the yellow side strakes and yellow wheels you see in the picture, and incorporate a distinctive 60th Anniversary Works logo. The dash of each is trimmed in ‘heavy weave’ carbon fibre, and contrast yellow stitching holds the leather upholstery together. 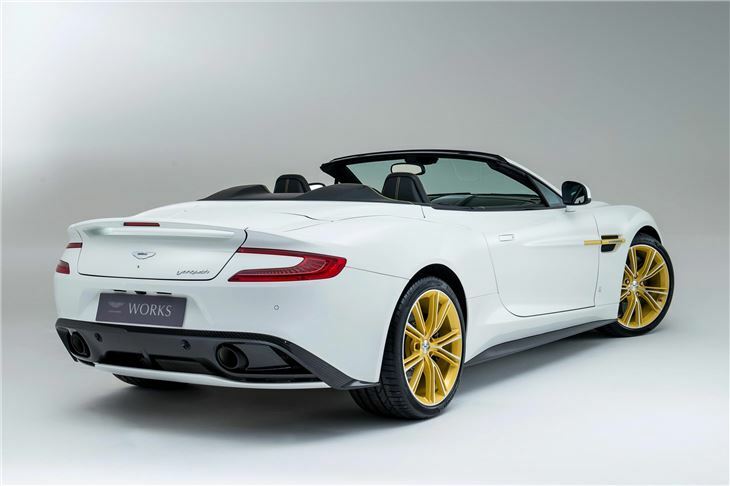 The car is a "price on application" job, according to Aston Martin, but the company has already sold some of the six Anniversary models; a bog standard Vanquish Coupe costs £192,000, and the Volante convertible £205,000. 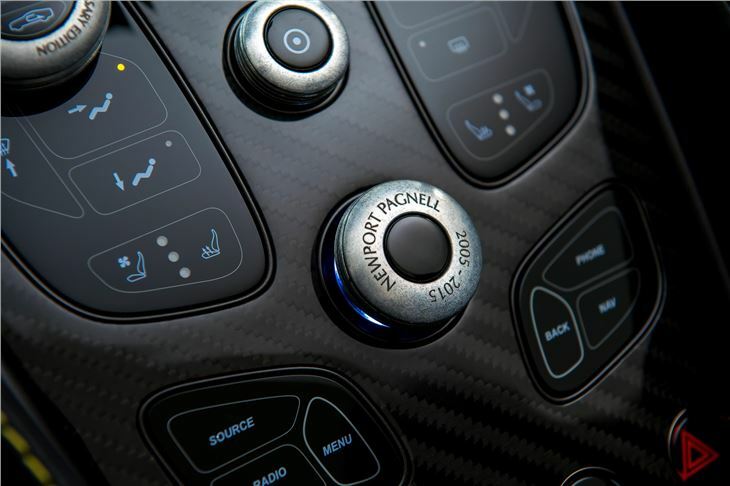 Each one will come with a 576PS 6.0-litre V12 engine linked to an eight-speed 'Touchtronic' automatic gearbox, enabling the car to get to 62mph from a standstill in 3.8 seconds.